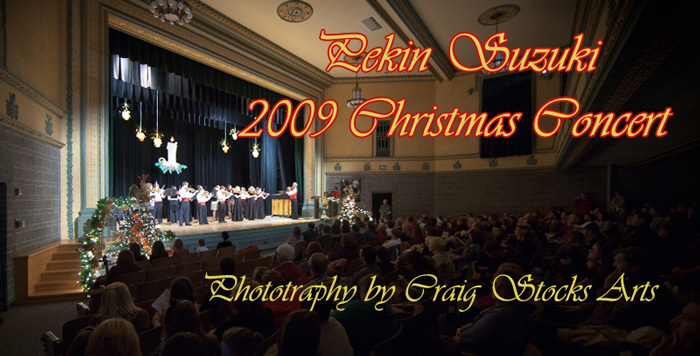 2010 Christmas photos are now available online here. 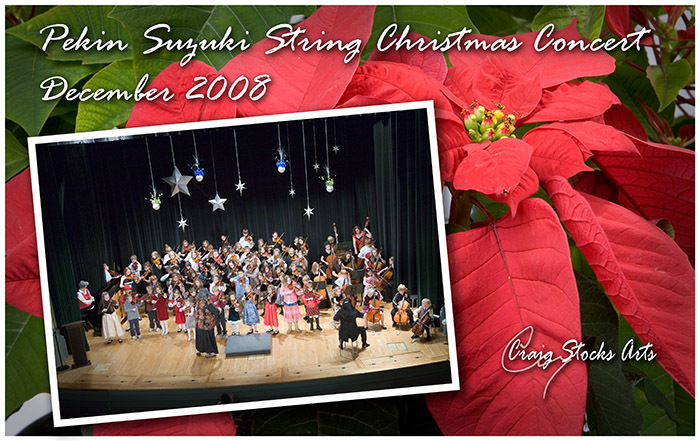 I will once again be available at the Christmas Concert for both orchestra and individual photos. This year, I'm expanding my offering of custom digital backgrounds for the individual photos. You can choose to substitute one of the available backgrounds for only $5 extra. I can also customize the background color if you prefer something other than what is shown in the sample. We had a great concert to welcome the holidays and mark the end of the first semester. I've set up a small web gallery here. 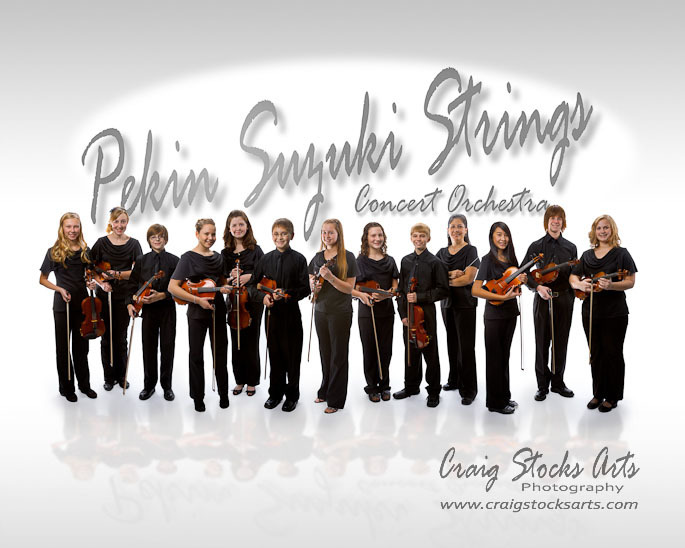 I was able to be in Pekin for the annual Suzuki program's annual Spring Festival. It's always a great opportunity for the kids to enjoy classes by some of the nation's best instructors. I have two new photo galleries on line, one showing the posed portraits, and one with snapshots from the concert. Both of our children were in the Pekin program in the 1980s. As we moved around the country during the 1990s, we realized how fortunate we were in Pekin to have such a dynamic program. Today, our grandsons are part of the program. Every time we go to a concert and hear the Twinkle variations at the end, it brings back lots of memories. During the 2008-2009 school year, I'll be offering a variety of specials that will support the local program. Keep watching for more information.